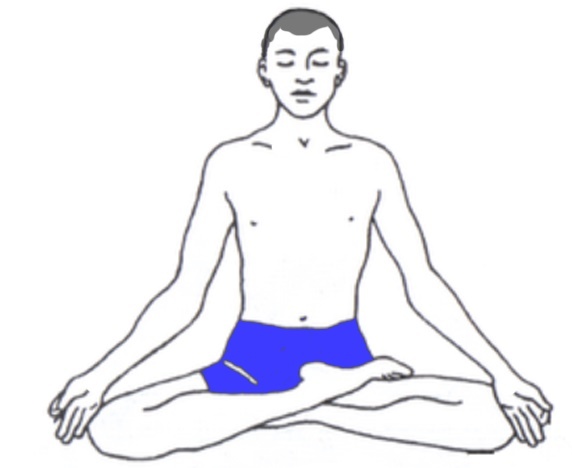 The word “Parsva Konasana” comes from Sanskrit text. 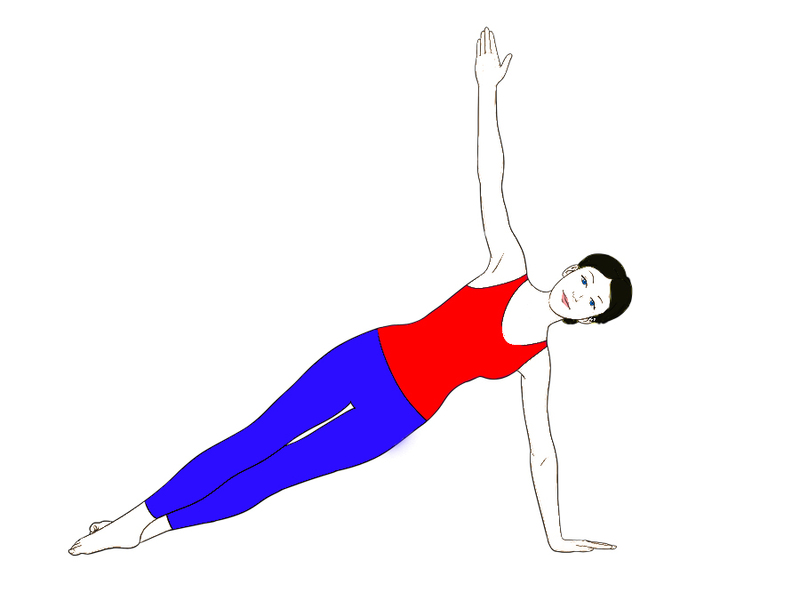 In which Parsva means – Plank or side (The word “Parsva” is taken as the name of many Yoga Asana in which your Torso is twisted to one side). And the meaning of Baka is Crane. So, by this Side Crane Pose (when you perform Parsva Konasana your body looks like a Crane) is named so. Don’t take Parsva Konasana lightly coz Parsva Bakasana is a complex Asana which demands a lot of practice, Balance as well as strong arms also. 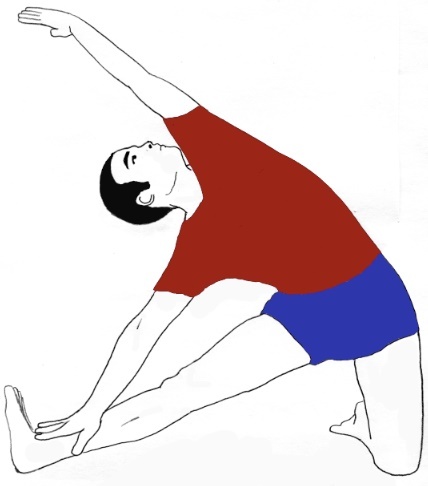 Thus, Side crane Pose comes under the Advanced Category of Asana. Parsva Bakasana is only suggested for Advanced Practitioners. What is the difference between Side Crane Pose & in Astavakrasana (Eight-AnglePose)? Before we start the steps of Side Crane pose (Parsva Bakasana), you have to know the difference between Parsva Bakasana (Side Crane Pose) and in Eight-angle Pose. Both of Asana looks similar to each other at first sight. Both Asana is arm balancing Asana. But there is one important difference and that is the placing of hands. 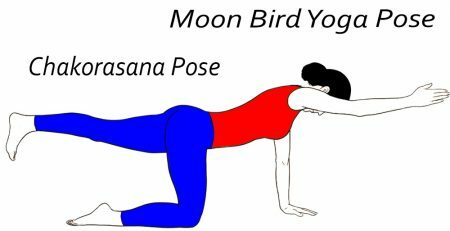 Yes, in Side crane Pose you place your hands in front of you but in Eight angle pose you have to insert your one hand in between your thighs and which is strongly placed on the floor. Hope your doubt is clear so don’t be confused in Parsva Bakasana and in eight angle Pose. First, come into the half squat position with deep breathing (slightly bend your knees). Your thighs are parallel to the ground. Put your heels flat on the ground comfortably. Then, breathe out deeply along with bend your torso to your right side. Keep your lower part of left ribs straight across to your right thigh (align both parts as far as you can). Once again, breathe deeply keep your left arm towards your right thigh. Put your armpit just close to the outer region of the right thigh. Again perform back bend then attempt the twisting movement. You’ve to breathe in and breathe out until you rotate your upper body (Torso) to the maximum limit or as much as you can. Once you’ll get the maximum twist, place your left arm on the right part of the hip (press your hips against your thigh). After that, maintain this pressure along with draw upper arm to your right knee. Carry on maintaining the pressure and make your that your body is not sliding. Keep in your mind put your arm in the same position during the whole process. Little change can stop you from attempting the correct pose. After that little bit bend your knees so that your hips come above to your heels. Keep your left hand close to your right foot at that time lean towards right side until you place your palm firmly on the ground. Now, keep your both hands and shoulder width apart. Placed them diagonally in a way that your right foot is correctly angled into the direction of your heel. Next, raise your pelvis and gently shift it to the right side. 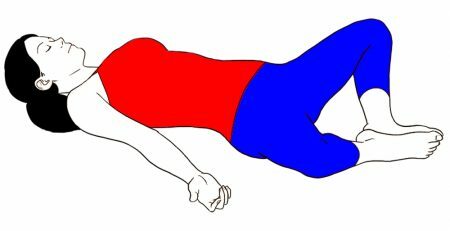 Keep your abdomen in resting position in between your hands. Now, slowly lift your feet by shifting the weight onto your hands. When your legs are completely off from the floor (in the air) then, keep your both feet together along with place your heels inwards. At that time breathe out as well as keep your arms straight. (Same as Eight-angle pose Side Crane Pose is very challenging to maintain the balance properly. Parsva Bakasana type of Asana needs hard Practice and guidance also. At first attempt, you can use a chair, keep your legs on the chair but shift the whole weight onto your hands. This will help you to maintain the balance). You can lower down your forehead on the Yoga Mat or blanket for maintaining the balance. In this, there is no time for holding the Position. It all up to your capabilities, when you get the correct or final pose remains in the pose as much as you can. Parsva Bakasana strengthens your forearms, wrists, arms, upper arms and your back also. Parsva Bakasana helps in tightening as well as strengthening your abdominal muscles. Side Crane pose improves your sense of balance. Beneficial for lower back problems and excellent for wrists. Also improves the strength of your core. It is strictly advised that in lower back and wrist injuries do not try Side Crane Pose. In case of mild pain in wrist or back ask an expert before performing Parsva Bakasana.